Southern California state parks are usually associated with breathtaking beaches, but there are many amazing hikes and activities for everyone to enjoy. 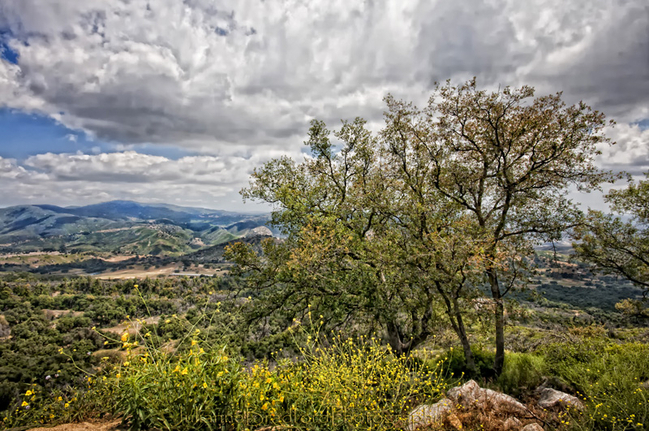 Here is a list of 5 hikes in Southern California state parks to get started on your exporation. So get out there and hike! Torrey Pines State Reserve. Photo by Erica Shalit. If you are wanting spectacular views of Southern California this trail is for you. 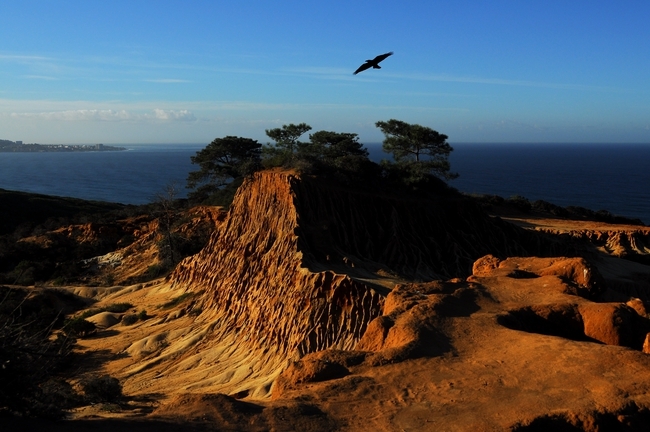 Torrey Pines State Reserve is home to the rarest pine tree on the North American continent, the Torrey Pine. Gaze upon Southern California as it looked hundreds of years ago from atop Broken Hill. This 2.5 mile loop consists of two trails, the North and South Broken Hill trails. The best part of this hike is the viewpoint at the middle of the hike. It is an amazing view during sunset hours. This is a fairly easy trail and great for all levels of hikers. Palomar Mountain State Park. Photo by Julianne Bradford. A variety of hiking trails is available within the park. Some lend themselves to short, leisurely walks and others are suitable for vigorous, all-day hikes. The scenery includes open meadows and thick coniferous or oak forests. Trails are open to foot traffic only. The Doane Valley Nature Trail is very nice in the summer months and is only about a mile long. Along shady Doane Creek, you’ll see creek dogwood, wild strawberry, mountain currant, and Sierra gooseberry. At the park office you can get a leaflet describing different types of trees you will see on the trail. Anza-Borrego Desert State Park. Photo by Mimi Kramer. First-timers can’t miss the Borrego Palm Canyon Trail, a 3-mile round-trip flowering with brittlebush, desert lavender, and ocotillo. The trail starts close to the Borrego Palms Campground. The trailhead itself is very clearly marked, and the parking area has plenty of spaces. Make sure you bring plenty of water, because this trail tends to get very hot. The best times for this trail are fall, spring, and winter to beat the heat. The trail leads to the third-largest palm oasis in California, which was the first site sought for a desert state park back in the 1920s. It’s a beautiful, well-watered oasis, tucked away in a rocky V-shaped gorge. 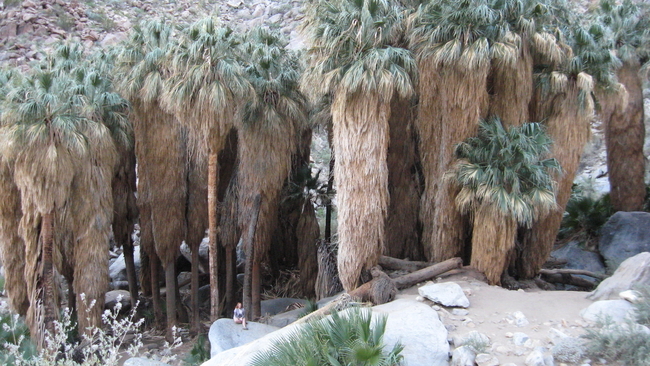 If you’re lucky, you may glimpse a bighorn sheep, in a canyon vegetated by California’s only native species of palm. A longer option takes you exploring farther up-canyon. Red Rock Canyon State Park. Photo by Carol P. Murdock. Nightmare Gulch Loop is a long hike, about 8.8 miles. 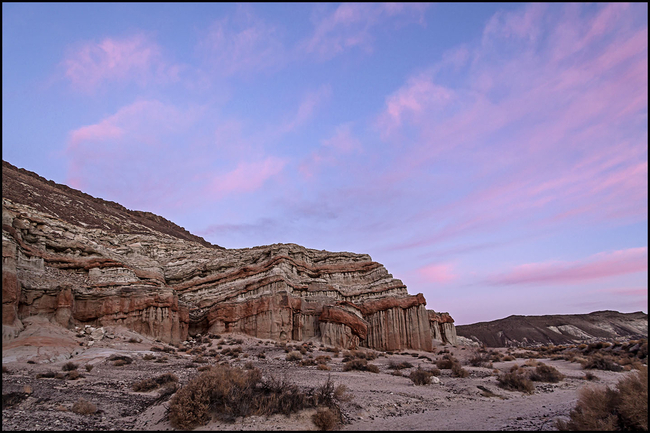 Rock Canyon State Park attracts many raptors and in order to protect the raptor nesting sites, the gulch is closed to hikers and vehicle travel yearly from February 1 to July 1. When the area is open it is a great trail to take photos on. The trailhead starts a half mile north of the entrance to Red Rock State Park at a small turn out on the east side of the highway. The route goes along ridge tops with panoramic views of the gulch and the Southern Sierra Nevada. This is a relatively easy hike with a small amount of elevation gain and loss. This hike can be very hot during the summer months, so take caution and be prepared. Mount San Jacinto State Park. Photo by David Herholz. 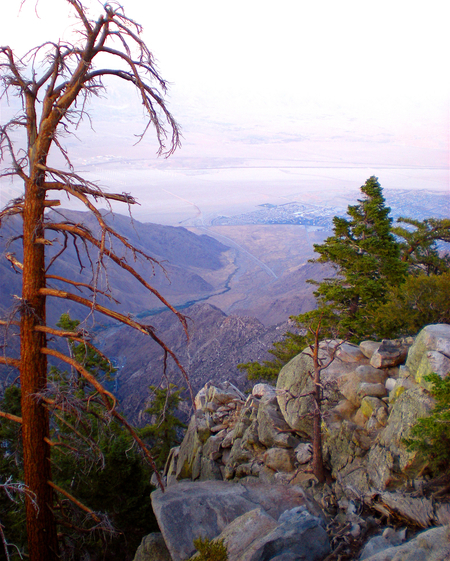 For a bit more of a challenge, set your eyes on Mount San Jacinto. At 10,834 ft, it is the highest peak in the California State Park System, and the 2nd highest in Southern California. This is a very difficult hike, but worth it once you reach the top. When you arrive at the parking lot of Valley Station, you’ll have to buy a ticket to ride the Palm Springs Aerial Tramway up to Mountain Station. From there you will begin the 11 mile hike to the peak. While the trails here are very well signed, be sure to pay attention because Mount San Jacinto State Park packs a surprising number of trails into its 14,000 square miles. Note that everyone entering the wilderness area for the day or for camping must have a permit in their possession. Day-use wilderness permits are free and are available at the State Park Headquarters in Idyllwild or at the Long Valley Ranger Station. Applications for overnight permits will be accepted up to 8 weeks in advance. This entry was posted in Visit Parks and tagged California, california hiking, California State Parks, California State Parks Foundation, CSPF, fitness, Hiking, Nature, outdoors, Southern California, Things to do California by CalParks. Bookmark the permalink.